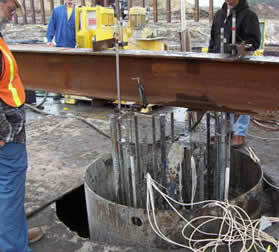 Deep foundation specialists committed to produce new developments for design and construction of drilled shaft with commercial / industrial applications. 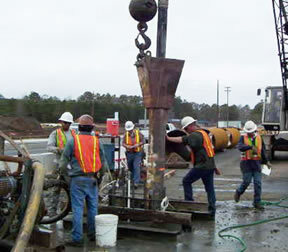 Our broad experience and technical expertise are our strongest assets to provide consulting services on: highways and bridges, slurry drilling, offshore operations and non-destructive testing. 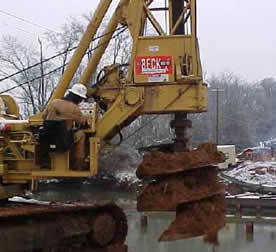 Although drilled shafts offer a suitable alternative to support high structural loads, certain issues like strain-dependent side friction and construction disturbance at the bottom of the excavation may reduce the achievable capacity and affect the performance of the shaft. These issues become more relevant when shafts are built in granular deposits, where higher axial deformation is required to fully develop the available side friction. In addition, the disturbance at the bottom of excavation (affected also by an increment of the pore water pressure) increases the compressibility of the soil under the tip, reducing the tip capacity. 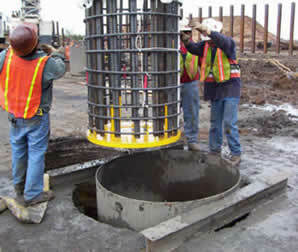 By injecting grout below the tip of a drilled shaft, an expansion bulb is created. Such bulb tends to compress the soil downward counteracting any increase in compressibility at the bottom due to soil disturbance during construction. At the same time, it produces an upward reaction creating a shaft pre-stressing, which starts developing the available side friction.